In early August 2017, the Air Force Association’s Mitchell Institute released a report on the importance of stealth capabilities for current and future U.S. Air Force aircraft. “Stealth, or aircraft signature reduction, is a potent and viable military capability in modern combat and will remain so well into the future,” the report states. It’s unsurprising, then, that potential enemies of the United States are working intensively on countermeasures to stealth. Especially Iran. Equally worryingly is the fact that many “Iranian” counterstealth developments can be traced back to the People’s Republic of China. To fully understand the extension of the latest transformation of the Iranian air-defense capabilities, it’s necessary to look around 10 years back. In the mid-2000s, Iranian air defenses were in a rather sorrow state of readiness. A majority of surface-to-air systems were hopelessly outdated and in urgent need of maintenance. The country’s radar network was in such a poor condition that it proved incapable of tracking most of the U.S., Israeli and allied unmanned aerial vehicles that frequently made forays deep inside Iranian air space. Similarly, USAF tankers supporting combat operations over Afghanistan and Iraq sometimes spent up to two hours inside Iranian airspace – without ever being detected. The crews of international passenger aircraft flying inside Tehran’s air space frequently had to de-conflict via radio in order to avoid collisions. Change came in recent years, motivated by the U.S.-led invasion of Iraq in 2003 — during which U.S. combat aircraft and cruise missiles made extensive use of Iranian air space — plus continuous tensions with the USA and Israel and a years-long struggle to obtain advanced air-defense systems from Russia. In 2007, Iran signed a contract with Russia to obtain for five battalions of S-300PMU-1 surface-to-air missiles worth $800 million. On Sept. 22, 2010, under heavy U.S. pressure, Russian president Dmitry Medvedev canceled the contract. Medvedev’s argument was that cancellation was in line with U.N. Security Council Resolution 1929, which bans the supply to Iran of conventional weapons – including missiles and missile systems. Insisting that the S-300 systems do not fall under the U.N. sanctions because they are defensive weapons, in 2011 Iran filed a $4-billion lawsuit against Russia’s state-run arms export company Rosoboronexport. Moscow did whatever was possible to convince Iran to stop the lawsuit – including offering to upgrade Russian-made systems already in Iranian service, including SA-5s, SA-6s and SA-11s. However, even deliveries of certain advanced Russian systems – such as Nebo radars, Avtobaza eletronic-intelligence detectors and Tor/SA-15 SAMs – failed to appease Tehran. By late 2015, the situation reached the point at which Iran stopped all military-related acquisition of Russian-made arms, leaving Moscow with no choice but to pay $4 billion in damages to Tehran, or start delivering S-300s. Unsurprisingly, all of the related equipment was delivered by mid-2017. Photographs indicate that the Iranians have received a heavily-customized variant of the S-300 that includes a mix of components from the S-300P/PMU — specifically, the 64N6 Big Bird radar — and the S-350 system, with missiles that have a maximum range of 120 kilometers. Meanwhile, Tehran found itself on receiving end of a combination of direct and indirect threats of Israeli and U.S. attack over its nuclear program. Almost in panic over the weakness of their air defenses, officials in the Iranian capital scrambled to improve the situation. 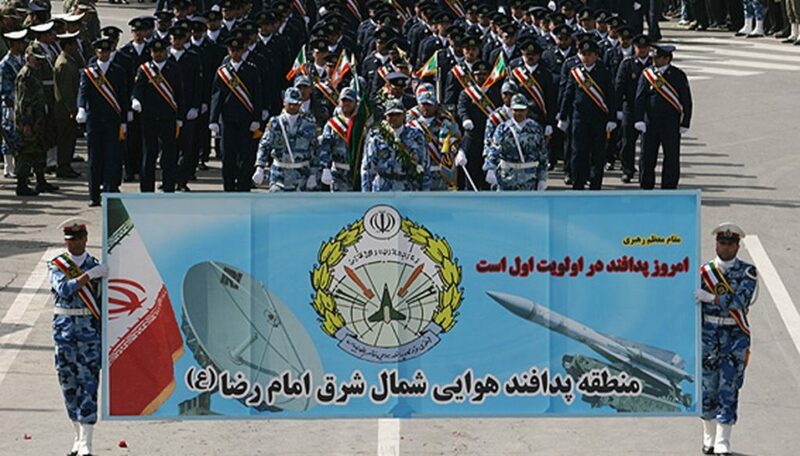 Their first act was to initiate a propaganda campaign consisting of reports about a mix of fake and actual projects with the aim of presenting an exaggerated image of Iranian air defenses. The first indications of increased investment appeared in 2008, when several new radar systems – most of them based on theoretically obsolete Russian and Chinese designs – reportedly entered service. By 2010, upgraded variants of different SAM systems began appearing, too. Each of these received a new designation – even when the upgrade in question consisted of little other work but replacement of solid fuel motors and application of fresh paint. The latter was the case with much-publicised Mehrab-1/Sayyad-2 missiles, which represented little else but an overhaul of U.S.-made RIM-66B Standards that Iran originally received back in the mid-1970s. Further blurring the picture were double designations of emerging systems – one each for the Iranian air force and Iranian air-defense branch, and another for the Islamic Revolutionary Guards Corps. In 2010, top air force officers launched a rather amateurish effort to produce fake S-300 launchers and parade them down the streets of Tehran. The overall impression was one of chaos. While there is no doubt that Iran has more than enough know-how, and even most of the necessary industrial capabilities, to research and develop its own SAM systems, there is even less doubt that it is foremost decision-making processes and industrial management that are the country’s actual problem. For reasons War Is Boring explained in an earlier article, every single decision related to arms procurement depends on consent of dozens of different cliques – in Tehran and in other major Iranian cities – and then on the standing of the decisive clique. One clique might be powerful and thus have the final say for two or three years, but rarely longer. The result is a situation where the fate of every single new project depends on decision-making processes that are hopelessly out of the control of those running the projects. For example, the Iranian navy had around 130 RIM-66B SAMs left over from the 1970s. The Iranian defense sector could overhaul and upgrade them. Theoretically, everything was in place to actually do so. However, in order to complete that work, the team needed money, machinery and testing facilities. The issue of ownership was the first obstacle. The IRGC-controlled Ministry of Defense solved this problem by taking all the RIM-66Bs from the navy’s stocks. The move put the ministry on a collision course with at least three entirely different authorities, each of which was in pursuit of its own interests and making decisions at its own discretion. Needless to say, the upgraded ended semi-finished. Easy-to-get parts were there, but several crucial ones … were not. The result was a non-functioning system that was good for propaganda purposes, but not much else. As the number of projects increased, air-defense units responsible for a specific facility or geographic area often ended up with five different SAM systems – of which, say, three were operational but two were hopelessly obsolete and only one was actually in production. The fourth was a non-functioning prototype idling at some depot. The fifth, meanwhile, was merely a propaganda hoax.